Not to be chosen would be a cruel fate of my own making. According to the Authority, the worth of someone is determined whether or not she is chosen by a man to be his bride. When Carrington Hale is not chosen, she must live the rest of her life as a Lint– unchosen and unloved, destined to be forever alone. But nothing is as it seems, Lint girls are being found murdered, and a man marked as a traitor says things that could bring the very structure of society crashing down. Stories set in a dystopia are extremely popular these days. We have The Hunger Games, Divergent, The Maze Runner, and much more. 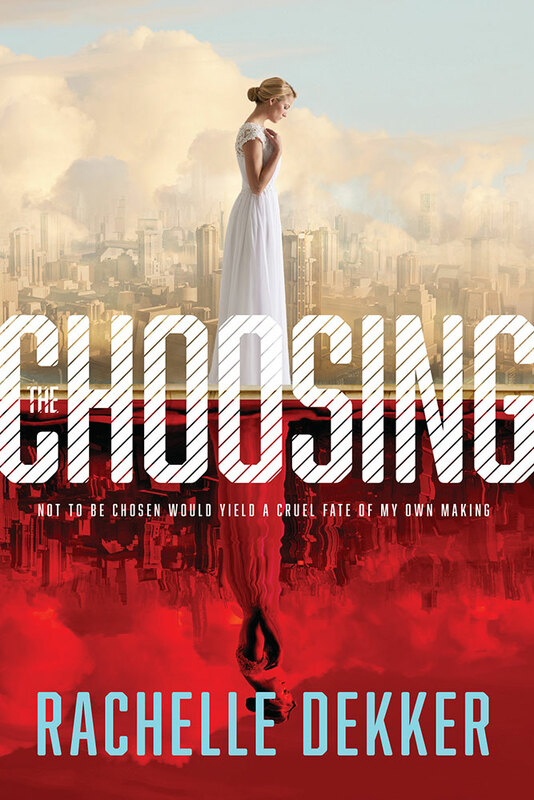 The Choosing joins this ever-growing list, but at the same time, it sets itself apart. When one thinks of a dystopian story, we think of a world that has been destroyed by war or a devastating natural disaster. This is not the case with Rachelle Dekker’s début novel. The world– set about two hundred years from now– seems perfectly normal for the most part. It is in the Authority, the government in this story, that shows the signs of something having gone amiss. This aspect of the story sheds some refreshing light on the genre. Dekker has not only created an interesting world, but also interesting characters. Taking the journey of finding self-worth along with Carrington is enjoyable. Dekker develops Carrington extremely well, taking her from a sense of uselessness and worthlessness that will speak to the reader themselves. Remko, the CityWatch guard that comes to love Carrington is also a great character whose journey I hope we see even more of in the sequel to this novel. The Choosing is not a perfect novel, however. At times, I felt as if the reader is told more than shown. This doesn’t happen too much, so it isn’t a huge issue. Other than this, I didn’t find much that I disliked. Many people these days feel as if they are unworthy of love; The Choosing is something they need to read. They will find that they are beautiful and chosen by their Father, and learn to look at themselves in a new way. I give The Choosing a 4.5 star rating. I enjoyed it very much, and I look forward to reading the next book in the Seer series! I’m so excited! I preordered my paperback copy in April and it just shipped (don’t get me started on how annoyed I was about that. I’ll let you know what I think when I finish! Gotta love Amazon! Sometimes, they’re great at getting my preorders out quickly, but there are times where it takes about two days before they actually ship it. Would love to hear what you think of it!